Wisdom. Direction. Strategic guidance. 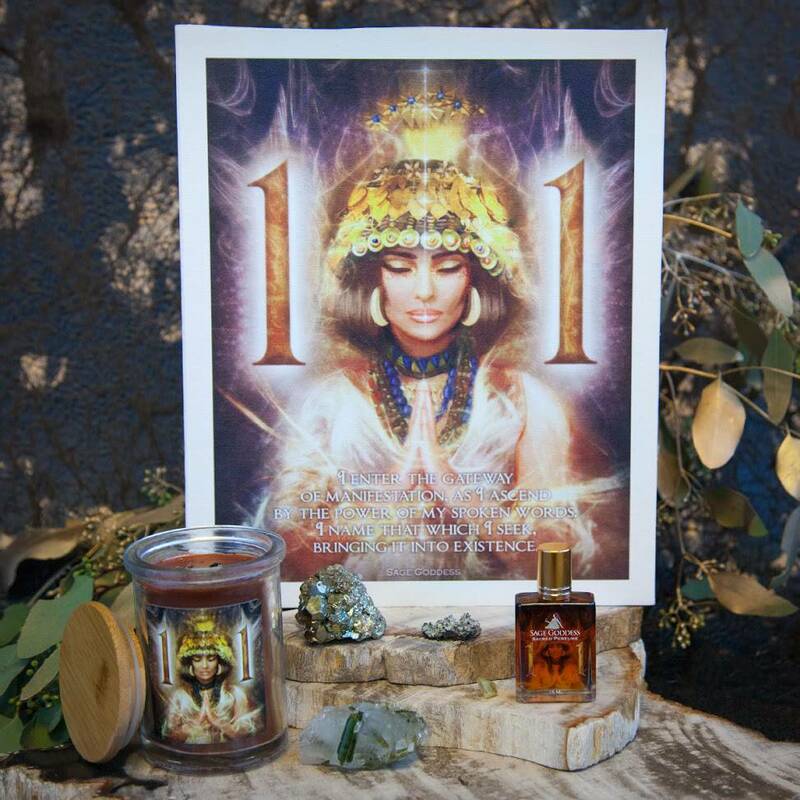 This is the magic and medicine of this Goddess Athena’s Faceted Tiger’s Eye Counsel Stone. Where are you going? How do you intend to get there? These are the questions that tiger’s eye asks, helping to prepare us for the journey ahead. What is it that you need, and do you have the courage and inner fortitude to ask for it? As many of you know, tiger’s eye is my totem gem, and I have a special relationship with it. 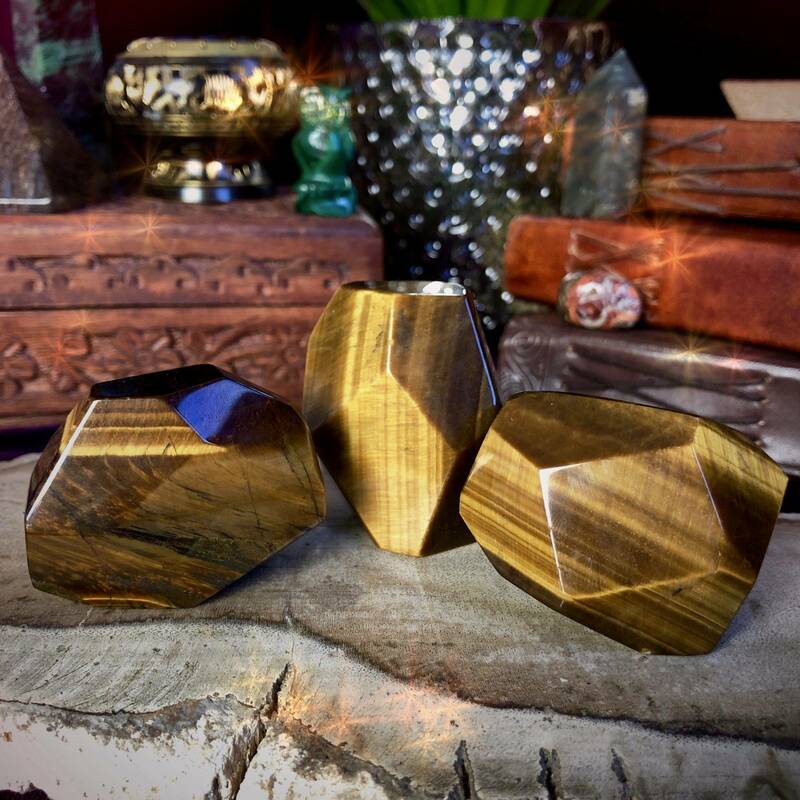 Tiger’s eye resonates with all three lower chakras – Root, Sacral, and Solar Plexus — making it a powerful ally in assisting us with all issues around security, stability, creativity, power, and protection. There are not many stones which have metaphysical properties like this. 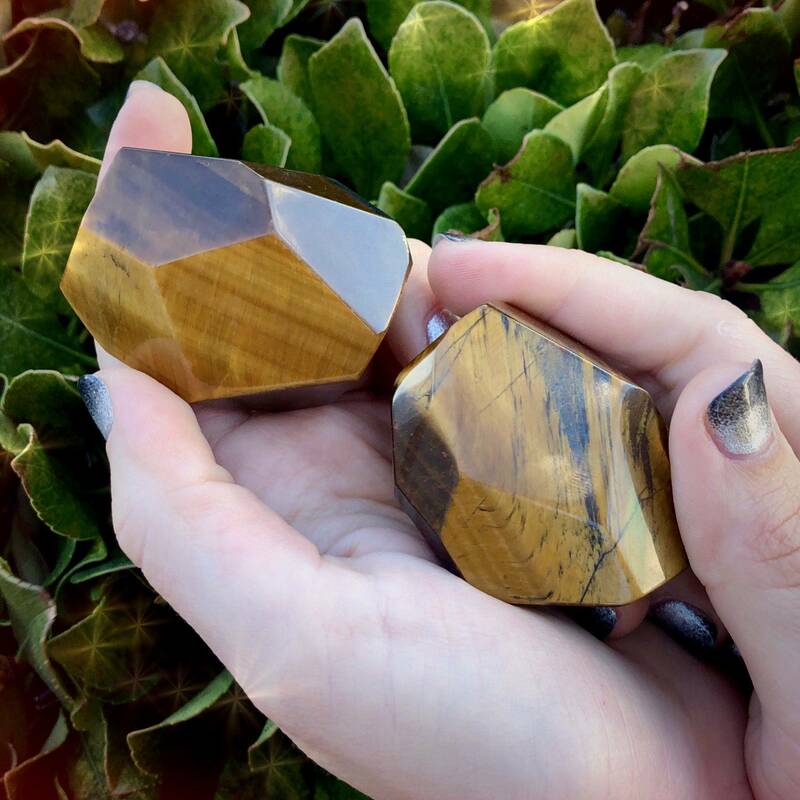 And, you’ll find these faceted tiger’s eye stones to be some of the most alluring. Known as the Counsel Stone, Tiger’s Eye brings wisdom, courage, protection, discernment and the ability to see ahead. 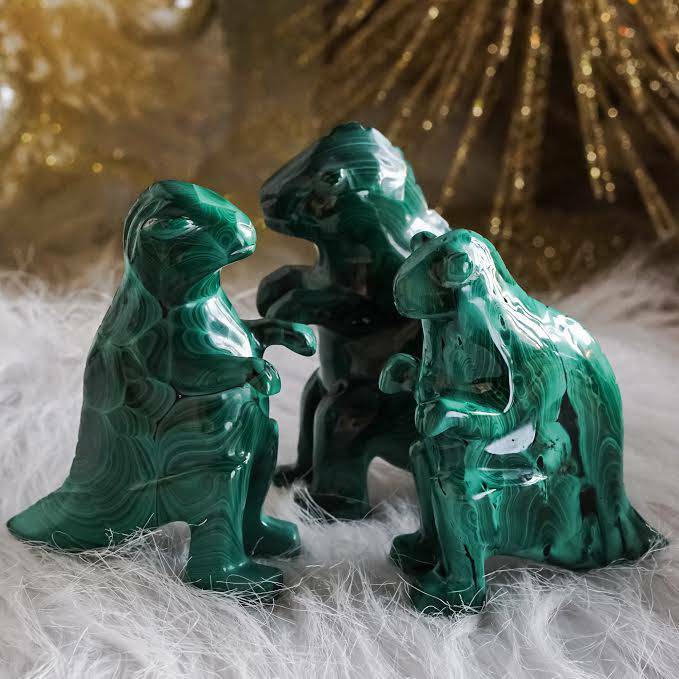 Associated with Athena, the Grecian goddess of wisdom, the arts, and strategic warfare, tiger’s eye serves as a companion in difficult situations and as a guide when tough choices need to be made. What is coming? And how do you need to prepare? This is the domain of tiger’s eye. This stone is one of those gems I count on for the real and serious magical work I do. 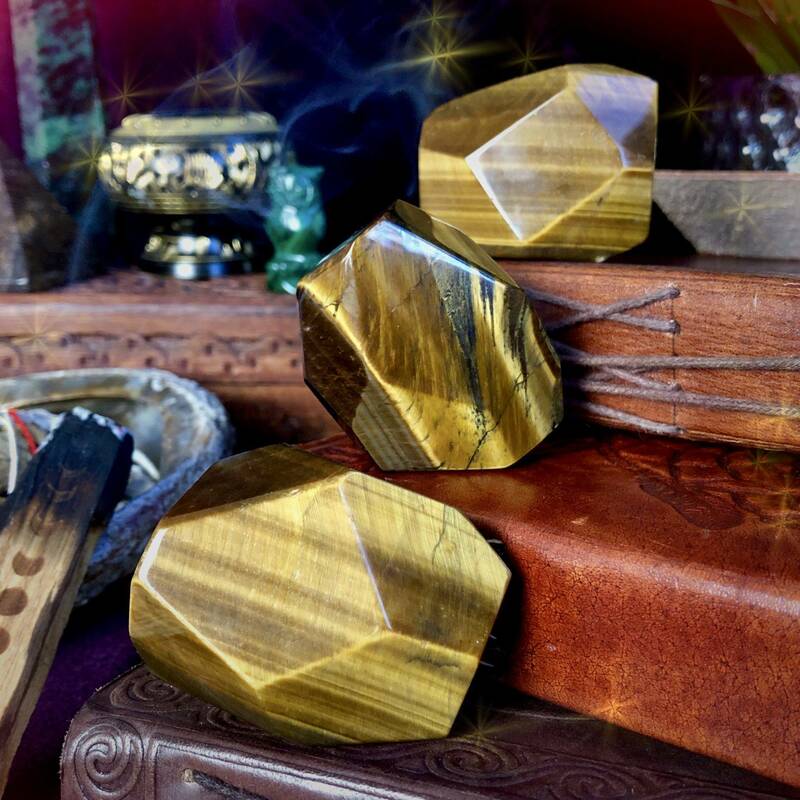 Tiger’s eye will guide you along your journey towards your Highest Truth. 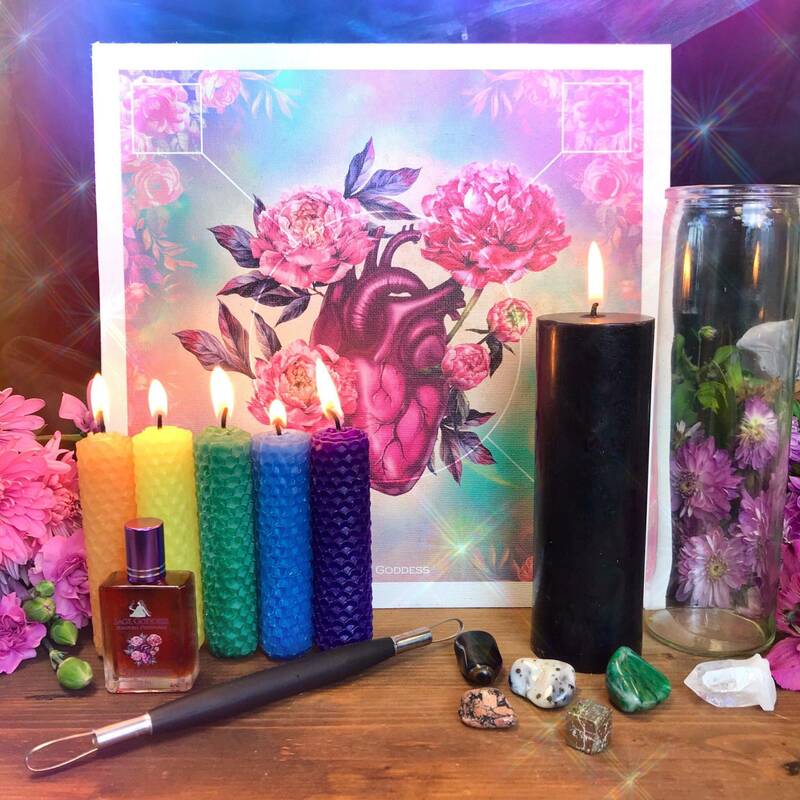 Use these pieces on your altar or grids, or place one on your Third Eye during meditation. Focus on the future. This beautiful stone will help you see what is coming around the corner so that you can best prepare. This listing is for one (1) piece of Goddess Athena’s Faceted Tiger’s Eye Counsel Stone (about 2”). Yours will arrive lovingly parceled along with a single leaf of white sage and a card describing the properties of the stone.